The D-300-FS incorporate performance and capacity in a 3U form factor. It features two 5.25 and six 3.5 bays for high density storage application. Whether it's web server, database server, D-300-FS can accommodate the thermal requirements of dual processor and Raid drive storage needs. The 7 PCI slots support PCI, PCI 64bits, AGP, and PCI-Express add-on cards which enable future upgrades for customized functions and application needs. 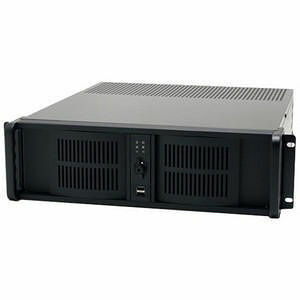 D-300-FS is a cost effective chassis for data and storage server.